David Chiem and his family fled Vietnam when he was nine to escape the communists. Today he is the author of a book used as a literature text for Australian students, and the founder of MindChamps which has 33 childhood development centres here. The late American writer Mark Twain had a theory why truth can be stranger than fiction. Fiction is obliged to stick to possibilities; truth is not. Mr David Chiem, 47, understands this only too well. His family experienced an incredible episode nearly 40 years ago, one which could have radically altered the course of their destinies. He may well not have been what he is today: the founder of MindChamps PreSchool, a trail-blazing pre-school operator with 33 outlets in Singapore. It was 1978. Then nine years old, he and his two elder siblings and parents had fled their hometown of Rach Gia - south-west of Ho Chi Minh City- four months earlier and ended up in a refugee camp teeming with thousands of Vietnamese boat people in Malaysia's Pulau Bidong. One day, before the crack of dawn, his mother and sister sneaked out of the camp to pawn some jewellery, having run out of money for basic necessities. As luck would have it, an Australian government official visited the camp that day, with a list of names of those granted asylum Down Under. The Chiem family was on that list. Alas, his mother and sister did not return to Pulau Bidong in time. The official left; their names were not ticked. "My father was absolutely devastated. We had missed the opportunity to go to Australia; we didn't even know if we might get on another list," recalls Mr Chiem. When she found out what had happened on her return, his mother announced that the family would go to Kuala Lumpur to track down the official, never mind that they had no clue of the latter's whereabouts. The next morning, they bribed their way out of the camp. Once in Kuala Lumpur, Mr Chiem's father - who speaks Teochew and Mandarin - approached scores of people, asking them if they had any idea where Australian immigration officials were likely to stay. On the suggestion of a shopkeeper, they headed to a hotel, the name of which Mr Chiem cannot remember. Unbelievably, they hit the jackpot. "The receptionist rang one of the rooms and said: 'Some refugees - it was obvious we were refugees - are looking for you. '," he recalls. "The official was kind enough to see us. He could not believe we had tracked him down." Even more incredibly, the official's medical officer colleague - who was supposed to have left that morning - was around. "He gave us an immediate health check and then stamped our papers. No matter what your spiritual beliefs, you can't believe there's no connection in the universe after that," Mr Chiem says with a grin. He adds: "No matter how crazy the world is, there is beauty if you look for it. I grew up believing that." Mr Chiem landed in Australia not speaking a word of English. But, spurred by his father's reminders to make full use of their new shot at life, and his mother's indomitable spirt, he more than made good. The soft-spoken man has co-authored several books, one of which, Only The Heart, is now an English literature text for secondary students in Australia. He made his mark not just as an actor, but also as a producer and director. As head honcho of MindChamps, he is also a cutting-edge entrepreneur in education, working with experts to draw together concepts in psychology, neuroscience and theatre to come up with mind- development programmes for students of all ages. Besides Singapore, MindChamps now also has centres in Manila and the United Arab Emirates, will branch into Australia, and is on track for a public listing later this year. Calm, congenial and blessed with a soothing voice, he remembers his early years in Rach Gia. His parents ran a provision shop, and the family lived in a four-storey house. Life was peaceful until the Vietnam War turned everything topsy-turvy. The day his family lost everything in 1975 is etched in his mind. "I was playing on the ground, and saw the shadows of two men. I looked up and they asked me if this was the home of Chiem, I said 'yes'. Then, they arrested my dad. Mom had to go through a lot to get him out," he recalls, adding that his father was imprisoned for a year. Evicted from the main house, they were forced to live in a shed. Three years later, on the second day of Chinese New Year, his mother took his siblings and him to visit a friend who lived by the river. In the wee hours of the morning, they were roused from their sleep. "Only then did it dawn on us we were going to escape," he says. They hid under the planks of tiny dinghies which took them to a bigger wooden fishing boat where their father was waiting. Together with 60 other people, they set sail for Malaysia, sitting upright in the two hollowed spaces used to store catches. On the third day, they were nearly attacked by two boats with Thai pirates. A Singapore container ship, however, frightened the pirates away. "They checked our engines, gave us water and food, including chicken rice. If not for them, we would have been pirated. That's why Singapore has such a huge place in my heart," says the permanent resident who moved here in 2003. The next day, they made it to Pulau Bidong where conditions were basic. They lived in tin sheds and slept on wooden planks. "To this day, I still remember how to catch lizards. We'd catch and barbecue them, take out the skin and eat them," he says. When they reached Sydney, Mr Chiem's parents found jobs in factories, with his father pulling double shifts. On his first day of school in Cabramatta, a suburb in Sydney, he could not understand a word the teacher said. "A girl turned to me and said in Vietnamese: 'The teacher's asking you what your name is, stupid.' I got emotional." But he also got determined. That year, he topped his class. Several years later, he became his school's first student to clinch awards in English, maths and art in the Higher School Certificate, the Australian equivalent of the A levels. "My dad always told me: 'Things that you own can always be taken from you at any moment. But education, no one can take that away from you.'" In 1984, when he was 14, he had another life-changing experience. He heard on the radio that producers were looking for a teenage Asian to play a starring role in a television series. "He had to be Asian, 13 or 14, and be able to swim. My sister joked and said: 'Why not you?' She didn't mean it but, that night, when I went to bed, I asked myself: 'Yeah, why not me?'" 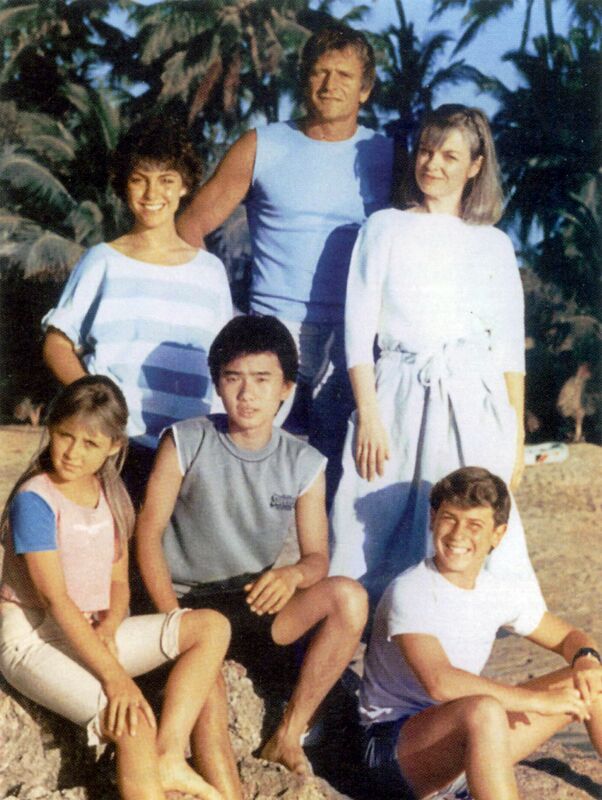 Five and a half months and several auditions later, he beat thousands of boys to be cast in Butterfly Island, the first Asian to get a leading role in mainstream Australian television. He played a refugee who enters the lives of a family struggling to run an island resort. "My whole paradigm shifted. I was so taken by the world of storytelling and what art can do," says Mr Chiem, who went on to land recurring roles in famous Australian dramas such as Sons And Daughters and A Country Practice. What he got paid for Butterfly Island allowed his parents to start a small fabric shop which they grew into a couple of big ones. Mr Chiem's father wanted him to be a doctor, and his HSC results could have qualified him for medical school. But, he chose to study acting instead at the prestigious Theatre Nepean. "Years later, I flew my dad here when I got my first entrepreneurial award in Singapore. He was very emotional. I thanked him, and he asked why. And I said: 'I managed to do all this only because you allowed me to pursue my passion and dream'," says the man who has won a slew of awards, including Entrepreneur of The Year by Rotary- Asme (2008) and Outstanding Entrepreneur at the Asia-Pacific Entrepreneurship Awards (2010). Mr Chiem spent most of the 1990s honing his skills not just as an actor, but also as a producer, scriptwriter and director. He graduated with a BA in communications from the University of Technology, Sydney, and a master's in film-making from the world-renowned Australian Film, Television and Radio School. He also ran his own production company, shooting commercials for ad agencies like Saatchi & Saatchi. In between, he also wrote two novels with famous Australian writer Brian Caswell. 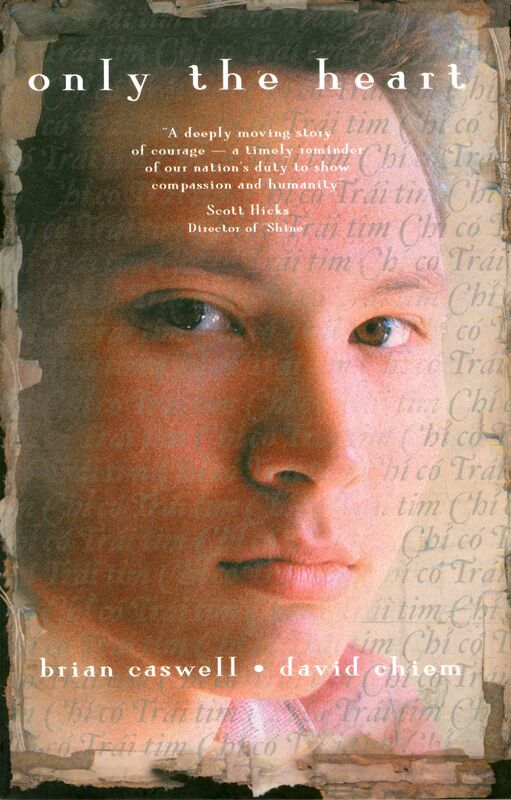 Only The Heart (1997), which is based on his life, is in its 22nd reprint. The idea for MindChamps took root when he was in film school. "On the first day, the head of the school came in and said: 'Congrats, you're here because you have talent. Now that you're here, we're not interested in your talent. You're here to learn the craft; it's the craft that will lift your talents to heights you've never imagined.'" It started him thinking about what he believes is a global gap in education, for "if the arts is a mirror to life, then education is the toolbox". "Why do I have so many friends who failed and hated subjects like maths? The school system essentially teaches us what to learn, never the craft of how to learn," says Mr Chiem, who started MindChamps in 1998. The keyword, he is convinced, is the mindset. So, he started researching and reading up papers in educational psychology, neuroscience, mindset formation and theatre. "When I first started, people laughed at me and said: 'Others have spent billions, but who are you to start a global approach to education?'" But he perservered and started pitching his ideas to the market. Positive responses convinced him that he was on to something special. Three years after setting up MindChamps, he had a breakthrough when he met Professor Allan Snyder, founder of the Centre for the Mind at the University of Sydney. It took three years to win his trust, but Prof Snyder - who is also a fellow of the prestigious Royal Society - is now MindChamps chancellor. Other advisory board members include former Raffles Girls' School principal Carmee Lim and Professor Roberta Golinkoff, director of the Child's Play, Learning and Development Lab at the University of Delaware. In the best of times, it's a valuable commodity. In the worst of times, it's an absolute necessity. DAVID CHIEM, on the importance of inculcating a resilient mindset. MindChamps inculcates in all its students the "champion mindset", propounded by Prof Snyder, which nurtures mindset resilience, among other things. "In the best of times, it's a valuable commodity. In the worst of times, it's an absolute necessity," says Mr Chiem, who has also co-authored several other books on early childcare and pre-school development. In 2002, he moved MindChamps here because Singapore, he says, is a global hub of the East and West, and has high standards in education. The Sars outbreak the next year was a bit of a jolt but, by 2005, MindChamps had turned around. It started off offering after-school enrichment training but ventured into pre-schools. MindChamps PreSchool now corners about 40 per cent of the premium - pre-schools costing more than $1,500 a month - market. More than two years ago, Singapore Press Holdings paid more than $12 million for a 22 per cent stake in the company. The father of two sons, aged 13 and 18, has not forsaken his acting and film roots. MindChamps Holdings also has MindChamps Media, which will develop musicals, TV series and movies. Right now, it is working on a movie Dangerously Smart - about a group of teens outsmarting a powerful antagonist - with Australia's Palm Beach Pictures. Meanwhile, Mr Chiem's own champion mindset is to take MindChamps, which currently employs 800 people, global. "In the university space, Harvard is No. 1. In early childcare, there is no No. 1 brand position." He wants MindChamps to occupy that position.